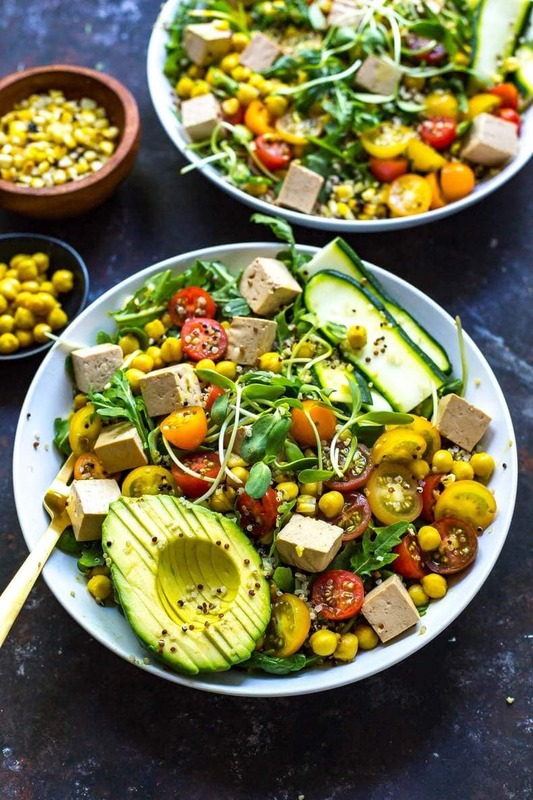 These vegan Summer Buddha Bowls with Turmeric Chickpeas, marinated tofu, sunflower sprouts and quinoa are just as delicious as they are nutritious! Say hello to summer in a bowl. 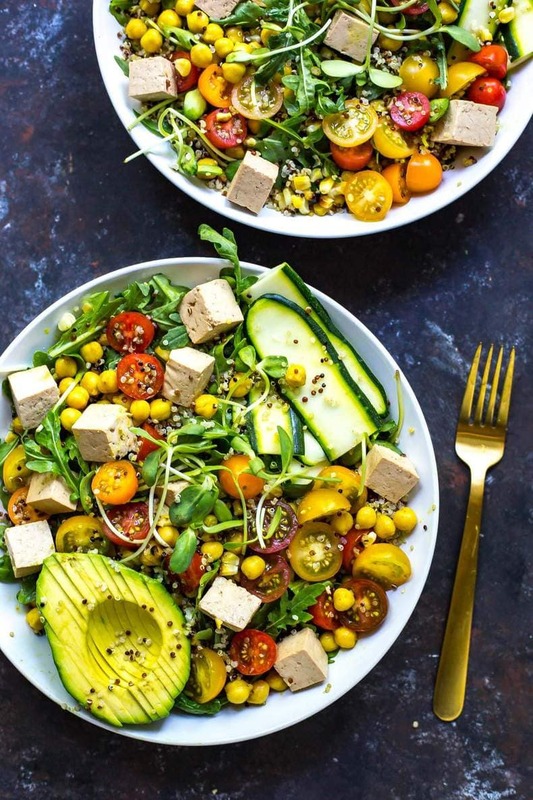 You always hear about buddha bowls being so popular in the fall and winter season. I mean, what's up with that? I get it, root veggies are amazing, especially when roasted in the oven and tossed in a cilantro tahini dressing. Like gimme ALL the kale and quinoa bowls for lunch. But as much as I absolutely adore fall, I'm just not ready for it yet. 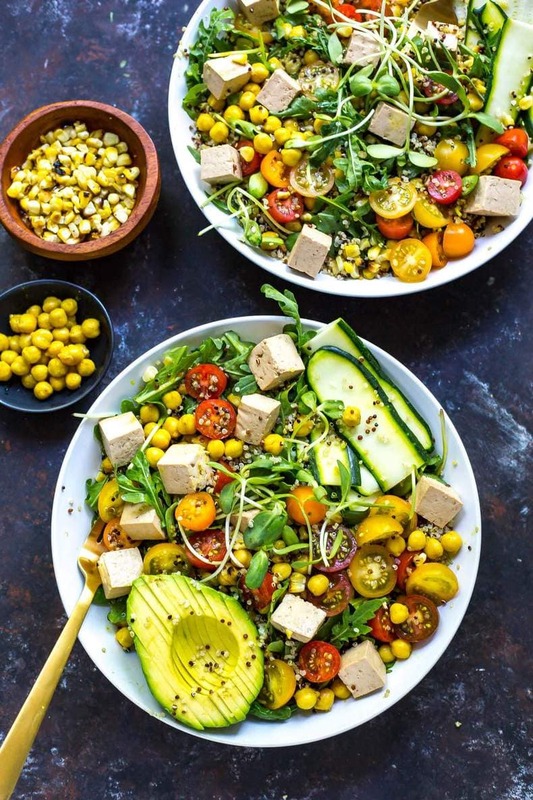 So, I'm coming at ya with these delish, glowing Summer Buddha Bowls with turmeric chickpeas, loaded with all sorts of veg you can find at your local farmer's market this time of year. Take advantage of the harvest upon us!!! Before I dive too much into specifics, I should mention that I don't normally go vegetarian. I mean, I love my veggies and all and incorporate a TON of plant-based foods in my diet, but I usually believe in some sort of lean protein as the cornerstone of all proper meals. I mean don't get me wrong, I definitely think you can live a long and healthy life on a vegetarian/vegan diet but I feel like it's harder to get your protein in on a regular basis – or maybe it's just that it requires more effort. Not with these bowls. These babies are jam-packed with my favourite marinated tofu, followed by some spicy curry-flavoured chickpeas and tossed with my fave super grain, quinoa. 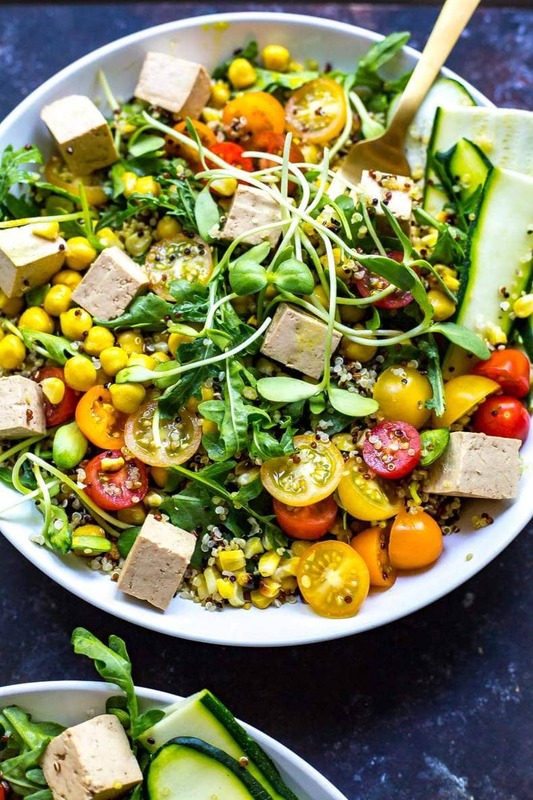 These Summer Buddha Bowls were dreamt up after a trip to one of my fave vegan spots in downtown Toronto, Fresh. One of my best friends is moving to British Columbia at the end of the summer to do a Master's degree so naturally, being the foodies that we are, we have pretty much been eating our way through the city grabbing brunch, lunch, dinner, breakfast, snacks and treats at ALL of our favourite spots in the city. I mean, I don't know about her but that's pretty much my life already, I don't need a partner in crime to eat that much. But I digress. The marinated tofu cubes in this recipe are pretty similar to Fresh's recipe, and the marinade can be used as a dressing for these bowls. Don't you love that? Two for one sauces. Score!!! So naturally, Fresh was on the list of spots to hit up and was a craving we both had after a few *ahem a FEW* glasses of wine enjoyed the night before. Nothing like a little veggie overload to make you feel better about your diet right? Of course after I wolf down my Energy Bowl filled with a delectable chickpea curry, marinated tofu cubes, mixed veggies and brown rice, I was inspired to do a little bit of my own spin on a rice bowl. Except minus the rice. Too boring for me. 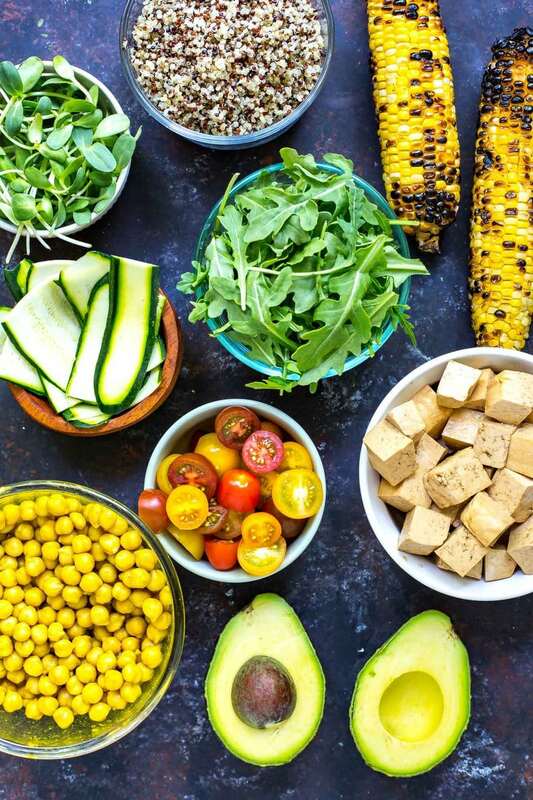 And then a recent trip to a massive farmer's market called St. Jacobs located just outside of Waterloo, Ontario also got me feeling inspired to start playing around with different seasonal veggies so here we are with these Summer Buddha Bowls! They take a little bit of extra prep but you can definitely eat them up all through the week if you pack them without the dressing on top – they're a delicious, healthy work lunch and you won't even have to leave the office (or spend $12) on a superfood bowl like this! 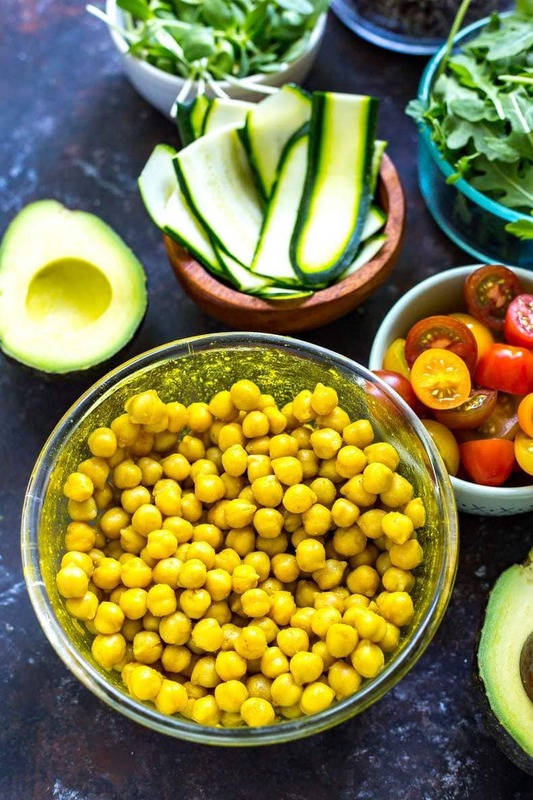 Will you be making these Summer Buddha Bowls with Turmeric Chickpeas? Seriously, tell me you will at least try the tofu recipe. I don't say this lightly, but tofu really CAN be delicious. Dying over these bowls! Remove tofu from package and squeeze out excess liquid with a clean towel. Chop into 1-inch cubes. Mix together marinade ingredients and add tofu cubes, submerging in liquid and marinating for at least 20 minutes. 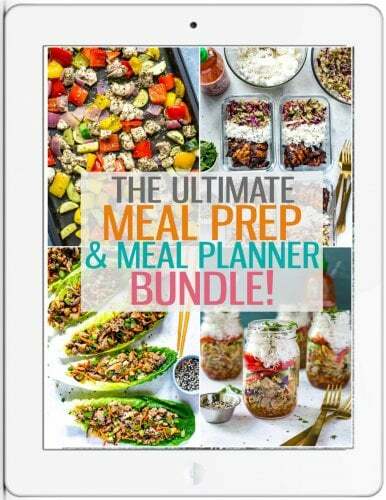 Meanwhile, cook quinoa according to package directions and preheat BBQ to high heat. Slather cobs of corn with a bit of olive oil and season with salt and pepper. Cook on grill for 10 minutes until charred a bit on the outsides. Remove from grill and let cool. Mix together ingredients for turmeric chickpeas. Let sit 5 minutes while you prepare the rest of the veggies. Divide quinoa among bowls, followed by the rest of the veggies. Slice corn off cobs and add to bowls. 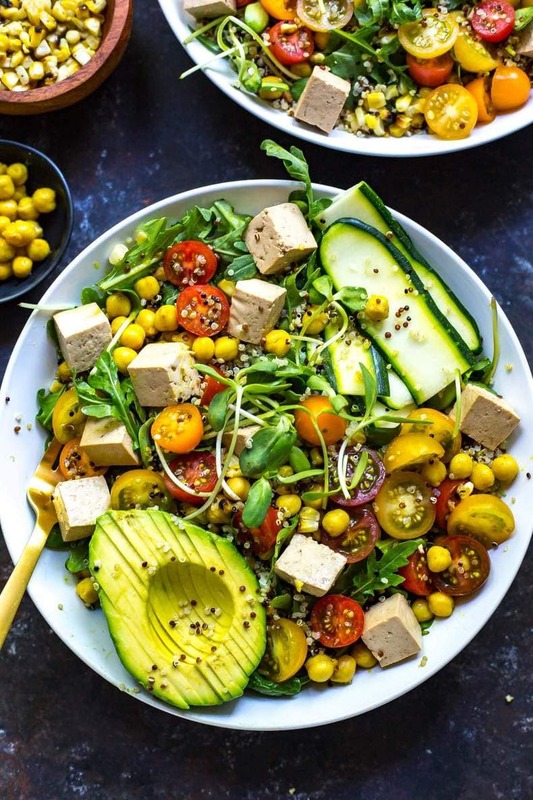 Remove tofu cubes from marinade and add to bowls along with chickpeas, reserving tofu marinade as dressing for each bowl. Use as much dressing as you'd like for each bowl (you don't need much) and serve! Loooool I am one of those quinoa haters. It’s a texture thing I think. And they look like little eyeballs staring at me. 😀 And it was so painfully trendy that I’m just over it now since I never liked it to begin with. I do like rice… jasmine is my favorite haha. There are things I like more than rice, though. In any case, love all the colors in these bowls!! How the hell can you hate quinoa?!!! LOL I can see your point with the eyeballs though hahahah don’t do that to me!!! At least we are on the same page with jasmine rice. I’ll actually look for an excuse to add it to a recipe! Beautiful bowl! I love the freshness and dressing seams to be delicious! Do you think roasted chickpea will be good here? So excited to have discovered your website! 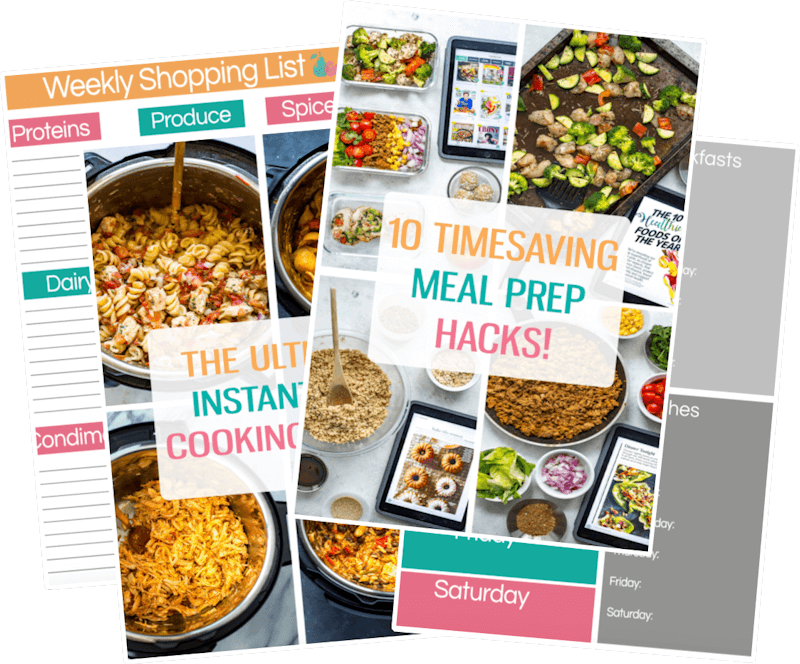 I’m always struggling to find delicious vegetarian recipes that aren’t full of carbs, and your site has delivered loads! I too struggle to make tofu taste good, but my husband and I both enjoyed this! While I loved the marinade for the tofu, I decided it would be a bit too much as a dressing. But have saved it in a jar and I’ll definitely use again to marinate tofu! Yay, so happy you liked it Clare!!! This is definitely my go-to tofu marinade I can’t use any other marinade or sauce. So good! I may just have to revisit these bowls again soon!